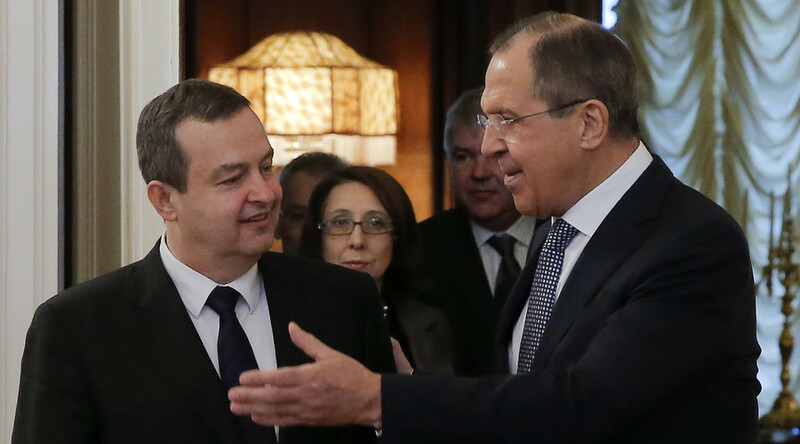 While Belgrade is interested in becoming part of the European Union, it would not do so if the cost would be hurting Serbia’s relations with Russia, Foreign Minister Ivica Dacic said during a Moscow visit. “We want to become part of the European Union since it would serve our interest. We are a country that geographically and politically is part of Europe. But it cannot be done at a cost of our good relations with the Russian Federation,” he said at a joint conference with his Russian counterpart Sergey Lavrov. 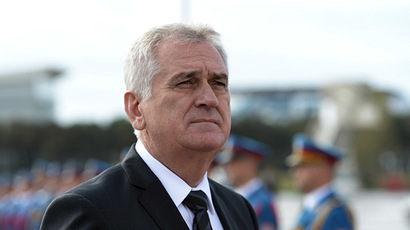 Serbia has been negotiating potential accession to the EU since 2005. Serbia’s environmental, agricultural and financial regulations and its judiciary are considered major obstacles as does the issue of Kosovo, Serbia’s breakaway region that most of the EU members recognize as a sovereign nation. Lavrov said the EU, a major sponsor of the Kosovar authorities, is in the position to put pressure on Pristina and protect the remaining Serbian residents of the region. “There is sabotage of the agreements that Belgrade and Pristina reached in August last year with the EU’s mediation to create Serbian municipalities in Kosovo,” he said. Dacic added that Serbia has no intention of joining NATO, an organization that bombed the former Yugoslavia during the Balkan Wars. Serbia is still coping with the consequences of that military action, the minister said.